I joined the Openhand community last week & I've been looking for discussion threads on the subjects of suffering & torment, couldn't find any so am starting a new forum topic. I've been consciously following a spiritual path for nearly 10 years, & have also done a lot of work on myself through therapy & personal growth groups. I am happy with my present life in many ways, especially in that I am now living authentically & I am consciously choosing how I spend my time, whom I spend it with, what I do, where I live, what is & isn't acceptable to me, etc. However, I'm aware that I am frequently in an internal state of what I would describe as tormented or tortuous, & this causes me great pain & suffering. It seems that the principle "theme" of my present incarnation is to work with, or experience, the energy of torture. I appreciate that this is a very "dark" area to explore & discuss. My grandfather, whom I am named after, was tortured during WW2 by the Soviet NKVD, & at a soul level, I agreed to take on his unresloved traumas in order to find resolution. I have done masses of work on this, both spiritually & therapeutically, & believe that I have put his traumas & the effect they have had on me, to rest as far as possible. However, the experience of torture seems to keep coming back into my life in different guises. Since I started my spiritual journey, I have always had a sense that I am a "tormented soul" & that there is nowhere for me to truly rest here on the Earth Plane. From my therapy & "inner child" work, I know that I experienced states of torment at the hands of an abusive mother, & that I haven't yet fully forgiven her for that. In my present life, the torment I experience manifests itself in obsessive, demanding, judgmental & critical thoughts - mostly directed at myself. I have tried numerous techniques to calm my mind, or distract myself from these thoughts, but often it feels like a losing battle in that the more I "effort" to counter these thoughts, the stronger they become. I also believe in the power of surrender, & I'm wondering if the best way forward for me might be to accept, allow & embrace my experience of torment rather than to fight it. Perhaps there is a "greater good" to my experience of torment & torture. Does anyone have any identification or constructive feedback on this? Hi Alex - I feel for you. Welcome here on Openhandweb. Most traditional therapy is only going to take you so far. That's because they still regard our 'conditions' as something that need fixing. Without realising that, by the Law of Attraction, we created them ourselves in the first place in order to discover something. What we're looking for is to realise the self: to know ourselves as pure presence in and through all things. Even torture. At your core, you are pure presence. It's a sense of everything/nothing. You are crystal clear clarity, which however, can only be experienced through the sense of separation. It's the ultimate paradox. Whilst we are fighting to cure our 'condition' or whilst we're struggling for some kind of outcome - peace for example - we will always be separated from the pure presence we are. This is the state most people exist in to some degree - resisting, denying and fighting. If it's not the torture of pain their fighting, it's the torture of attachment to something they like and desire. "I am now living authentically & I am consciously choosing how I spend my time, whom I spend it with, what I do, where I live, what is & isn't acceptable to me, etc." I actually don't feel that you are living authentically, or have truly realised what authentic really means. Often people confuse it as 'the path of least resistance'. Actually the authentic path takes you right into the very heart of your resistance. It does so in order that you may let go of the need to take the pain away. So that you surrender the need for any kind of outcome. When you fully surrender, the path will unfold through you as a sense of 'rightness' - this is the way to go now. This is what to do now. This is how to be now. Your choices are growing supported by synchronicity - a flow of energy appearing as a pattern through the events of your life. I'm wondering if the best way forward for me might be to accept, allow & embrace my experience of torment rather than to fight it. Perhaps there is a "greater good" to my experience of torment & torture." Bingo. This is the path to freedom. This is the authentic path. Thanks for your comments, Chris. I resonate with most of them & feel challenged by some of them. For many years now, I've been following a path of exploration & of deepening (or intensifying) painful experiences or resistances, in order to allow my soul to grow & evolve. This has been most beneficial in so many ways, but I believe this has also encouraged/re-inforced my attachment to pain & self-torment, or masochism, & I'm not sure how healthy that is. At present, my focus has changed to NOT digging, deepening or intensifying, in order that I may revert, at least for a time, to the more "ordinary" or surface/superficial aspects of life. I do believe that "the way out is through", but sometimes this can lead to wallowing in pain & difficulty, unnecessary & useless suffering, & can become counter-productive & self-defeating. At present, I am more interested in "following my bliss". I have always had a passion for travel & being in nature, & I'm making preparations to leave the UK at the end of April for several months. I feel pulled to go trekking in the Himalayas in Nepal, then possibly travel around India, Thailand & Indonesia, & then to join my fiancee in Taiwan, & hopefully live with her there for a while. I felt I had to say this when I read your forum. Must life be so serious? Or can it be "Let go,hold on to your seat and enjoy the ride). Yes those trying must clear many nuero pathways, lift the veil of identity and experience this space as the consciousness we are. I dont understand why you would "take on his unresloved traumas in order to find resolution." Maybe you have a different take to me but cant only the individual experiencing the trauma resolve it? Also "for many years" you've been deepening painful experiences? You seem quite confident but are you certain there isnt rumenating in there somewhere. Chris' technique to disidentify thoughts/feelings/emotions is the same technique I used and for me it was kinda obviously the only way to effectively get the job done. Enjoy your travels, within and without! you see i can laugh about it now. I feel so much for you Starhawk, and thanks Zac for the lighter tone, and Chris you're laser sharp as so often. Yes it is the East-European heavy heavy karma, and clearly I chose to be here to heal through it. From an East-European perspective I often found (still find) Westerners a bit "light", but then when Westerners come here, they can't cope with the denseness here... Compared to what is a normal way of existence here for most, people from the West it seems difficult to go right into the heart of this pain thingy... So I always cherish when I meet anyone facing bravely their tortures. So what I'm saying here is that whether East or West, or even: whether cultural, personal or collective, there is plenty of layers to shred in relation to painful experiences. And ignoring the benefits of pain would be just as unwise as falling and getting stuck in it helplessly. So saying that, I really cherish the ideas of travel, though to me it seems like suppressing an authentic need to go into pain, and instead of trying to find light at the depth of it, attention goes outward to find relief in the external world. "It is time to ease into accepting pain for what it is: a useful medium, but only that, but also, no less than that." Thank you for that Marianne Williamson quote Reka, it resonated for me along the same lines as a section in Melissa Etheridge's Fearless Love - "I am what I am, and I am what I am afraid of, oh, what am I afraid of?" In terms of the difference between pain (actual immediate experience interacting with elements) and suffering (response in perceived thoughts about 'what is') I've noticed a thing about a journey between expectation and reality. When expectation (good or bad) is at a distance from reality there needs to be a shift in one or the other in order for them to come back into harmony. The expectation is the 'overlay' by individualised interpretation perspective. In 'changing' things the journey is one of bringing expecation and realty into accord, rather than dischord. this is the 'going through' process (for me). It acknowledges the wider picture and perspectives of all things to this point of experience have brought the expectation to 'here' and all things to this point have brought the reality to 'here'. (simultaneously 'here' yet at a distance in interpretation / perspective only). - which can be changed/moved - so in a sense that speaks to Chris' warrior nature of not just accepting realities that can be changed, but pointing to ways in which they can. It is assisted by understanding the whole picture ethically & respectfully, and with awareness of response ability. It also seems helpful to recognise that within the process of 'going through' there may be multi layered expectations at odds with the realities in terms of who or what is able to respond and to what degree, given that all things led to 'here'. Starhawk... this notion of torture coming back to you even in some processing of your grandfather's experiences... could it be that there is some 'expectation' vs 'reality' journey that has been missed? As in particularly in extreme trauma situations the expectation most held onto is that it 'shouldn't' happen, or shouldn't have happened, that there was someone to 'blame'. The reality that it did happen is at a distance to the expectation, and within that distance is the 'torture' of suffering. "I do believe that "the way out is through", but sometimes this can lead to wallowing in pain & difficulty, unnecessary & useless suffering, & can become counter-productive & self-defeating." The unnecessary and useless suffering is the insanity Einstein spoke of - doing the same thing the same way time after time and expecting a different outcome. That you would want to carry this down generations is absolutely your choice. ... is it your aware choice? Every participant in every situation is doing the best they have with what they have and know, to this point. They learn not from what they know, but the journey in the distance between that and understanding what they did not know. The difference in the 'oneness' aspect is that all things are collapsed in equilibrium across the wide spectrum of individual experience - it's not 'personal', although it is personally experienced. One huge realisation for me in a very 'stuck' expectation-reality journey was that a murderer & victim were one, sharing two pathways of one experience, whereas I continually wanted to keep them separate from, and in opposition to, each other. Of course based on my own expectations and knowledge to that point. i'm in a great deal of emotional pain today, so i thought that now would be a good time to write about it on this thread. i've been "working on myself" & my emotional issues/traumas for 20 years now, both therapeutically & spiritually, so i have masses of self-awareness & have developed (or be shown) many techniques to express, sit with, move through, understand the pain that i am experiencing. one technique i often "fall back" on is journalling, or in my case i do a series of drawings using coloured felt-tips to externalise what is going on in my thoughts & feelings. i've just done a series of drawings & would like to share the contents of one of them on this thread. i'm often aware that there are 2 sides (or more) to any experience i am having. this morning, i am aware of a great deal of emotional pain inside me, and i'm also aware of a desire inside me to have an experience of joy or "lightness". i took a piece of a4 paper & drew a dotted line down the middle. it will be my birthday on thursday, & a part of me at least, is determined to put aside my pain as much as possible this week, & to enjoy the experience of my birthday week. perhaps the 2 lists of words above describe my dilema/conflict/struggle. how much is it helpful for me to go into my pain, sit with it, find a way "through it", & how much is it helpful for me to put it to one side & find things that lift my mood & give me pleasant, joyful, happy, "light", experiences? i guess it comes down to a question of balance, & indeed the tarot card i drew today (i frequently do "1 card readings" for myself) was Temperance, which for me means moderation, a balanced viewpoint, fruitful combination, the right mixture. i guess that, if i'm honest, i feel rather stuck & trapped today, not knowing where to turn, whether to turn towards my pain or towards my joy. i'm going to go to chris & trinity's "ascension exchanges" evening in glastonbury tonight, & i'm sure that will be a useful experience for me. An interesting set of experiences indeed - great that you've shared. "i'm often aware that there are 2 sides (or more) to any experience i am having. this morning, i am aware of a great deal of emotional pain inside me, and i'm also aware of a desire inside me to have an experience of joy or "lightness". I'd say you're experiencing the conflicting pulls of the ego and soul. So you wrote about being aware of a "desire" to experience joy or lightness. So could this be a part of you not accepting the emotional experience? I'm not saying we shouldn't experience joy and lightness, I'm saying it's about aligning yourself with how the soul wants to be. What is meant to be experienced now. "it will be my birthday on thursday, & a part of me at least, is determined to put aside my pain as much as possible this week, & to enjoy the experience of my birthday week." I'm sorry if I might burst some bubbles, but in my knowing, the soul does not celebrate birthdays as such! That's the ego too. The soul considers the possibility for every moment to be special, whatever is experienced. A birthday is celebrated because its a given date. How can that be spontaneous and in the moment as the soul is? You've already decided how you want it to be. What if the soul wants it to be another way? What if it's not celebrated at all and no one remembers your 'special' day. How would you feel? Lost, abandoned, not cherished, not loved? Again, these would all be ego issues. When we step onto the path, there are no 'sacred cows'! thanks for your comment, chris. in reading what you wrote, i had a mixed reaction, & in the interests of being "spontaneous" i thought i'd immediately write a reply, rather than doing my usual of mulling it over a bit first. a part of me (perhaps it is the soul, maybe it's my intellect) agrees with what you've written & resonates with it. another part of me (which could be my ego, or my inner child, or maybe even my "authentic self"), feels angry & misunderstood. writing this response is heightening my sense of pain & frustration, & makes me want to rebel or do something destructive. however, with all the therapy i've done, i can immediately spot a "game" i'm playing with myself & others, which i think is called "see what you made me do" when faced with challenge or frustration. to be honest, after 20 years of "working on my pain" therapeutically & spiritually, i am mightily fed up with the whole process, & i'm more than ready for a return to lightness & normality/ordinariness. as to my birthday, if i decided not to celebrate it at all, & nobody remembered it either, then of course a part of me would feel unloved & unimportant, but i've done so much therapeutic "work" on feelings around being unloved & unimportant, that I don't believe it would "phase" me very much. so, i am choosing to celebrate my birthday this week as it brings me pleasure & it brings pleasure to those i invite and/or attend my celebrations. i can sense some anger inside me as to being challenged by you in respect of my birthday, & my desire to celebrate it, & i am completely ok with that anger. its soooooooo funny the way it came out! hahahahahha im just cracking up really. Can you somehow divorce in a friendly way...? Or any way? And channel this energy (called pain, more i more i feel it's not that...) in the direction it really wants to go? And just ride it like a wave? What would it do to you if you did? I feel so much power there, where does it want to go? What does it want you to do? And what would happen to you if you did not have this wave anymore? Serving you as it did (in a way) all these years? Just a bunch of questions. I thank you again for such a laugh! Today is the 8th birthday of my smallest daughter, and we are going to have fun. I send some your way there in Glasto! It's absolutely fine to express Starhawk - and if you feel angry, why not let rip. And I have to agree Reka. Let the anger out, yet where can it be channeled? - because directing it at someone is not necessarily going to serve! Anger contains within it an authentic response - a truth that in some way has been repressed so it bubbles over. Maybe you don't like people telling you your truth? Maybe I was a degree 'guilty' of that - I didn't fully express my view as a 'point of view'. Even though I always meant that - just my perspective. Are you sure Alex that the therapy was not repressing you in some way? Were you encouraged to fully let it out? Does it mean the same thing though? You can revert to saying 'No thank you' (or your own version) anytime. Today is the day we celebrate that you joined the stage, we acknowledge the anniversary of your arrival and applaud you for your performance. We also acknowledge your mother for her part, your father for his part and your ancestors and co-creators of your play. Hold the hands of your cast and crew and take a bow. Everyone wishes you a wonderful day! -- fulfillment and expansion on this day, as in fact on every day of your life! I love that video Reka. Everytime I hear it, it reminds me everyday is special. It's just my attitude to it that counts. and in fact to all of you dear souls in this thread! love to you all guys! thanks for everyone's comments & birthday greetings. my birthday went well, all things considered, & ended on a very "high" note when i invited 2 friends back to my flat, after we had celebrated with drinks in a local pub. i'm back in a state of pain & torment this morning, but enjoying it also in a strange kind of way. i'm about to set off for london in an hour or two, to attend a personal growth workshop called "primal integration", something i've been doing regularly (monthly) for the last 10 years & has brought me amazing healing, support & transformation. it overlaps with the work of openhand in many ways. i'm feeling the torment of being under pressure, wanting to do a lot with the energy i feel right now, but having a big time constraint. i have a swirl of strong emotions going around me, some pleasant such as excitement, power, enthusiasm, clarity, relief, purpose - even bordering on a state of "enlightenment". other, less comfortable feelings include a great sense of feeling pent-up & frustrated, also some anger (more like rage) & some self-hatred. the torment has got something to do with a sense of being forced to do something, or that i'm forcing myself to do something, & there's very little time to do it. i also have a "life or death" survival feeling, which i know is left-over post traumatic stress from childhood abuse i experienced. i wish i could articulate this better. i'm torturing myself in a mental way & enjoying the experience of that. i want relief from this torture/torment & yet i also want to keep it going as i'm enjoying it - it gives me a "buzz". when in these tormented states, part of me has the desire/urge to "deaden" the pain somehow, but another part of me senses there is value in staying with the tormented feelings - sitting with them, meditating on them, journalling or drawing them, or just lying down on my bed & completely surrendering to them for 30 mins or more. when i completely surrender to my pain, something magical & transformative inevitably happens afterwards. i am a lightworker, & a great part of my mission/reason for this incarnation is to transmute heavy/dense/dark energies on behalf of others & of the planet herself, especially those of anger, hate & torture. that's what i've been doing for the last 49 years, initially unconsciously & for the last 10 years consciously. it makes my life painful & difficult, but also satisfying & "true". it's a heavy burden & part of my REALLY want to stop carrying it. but i don't know how to put the burden down. & a large part of me wants to keep carrying it. i wonder if i will take a rucksac or a suitcase on my travels to nepal? i appreciate being able to share in this way on this forum. feedback, comments & suggestions are most welcome. I hear here a dialogue between your Self and your Ego. "I want to put it down", says the ego, "but it is my divine job in this incarnation to work with it", says the Self. It sounds like one of those wonderful radio plays in our splitted sense of mind that so many of us listen to day after day. Can you tune into that? Reka - i'm from a Polish background & i know that there is a lot of heavy karma associated with that nation & its history. yes, i would like to "divorce" myself from my pain, but maybe that's not my path/destiny. i'm wondering how much real choice i have regarding the pain i experience in this life. chris - the therapy i've done (in the last 10 years especially) has been very expressive, & i have been allowed & encouraged to let it all out, including shouting, screaming, bashing cushions, behaving outrageously, etc. Always? wow. I guess your doin what you gotta, like all of us. I break free from my trauma by remembering who I was before it happened. As a child. Before it. I was okay. "i wonder if i will take a rucksac or a suitcase on my travels to nepal?" I'm off to the US soon to run a Five Gateways in Florida - for which I'd usually use a case. But then I'm feeling drawn to Hopi Lands in Arizona for which the most sensible would be a rucksack! As simplistic as it may seem, it's always these kinds of issues that reveal the grey areas of feeling. The mind wants to know now. But the soul wants you to keep feeling. You're looking for an expression of beingness. What would that be? Personally when I feel the essence of traveling with a rucksack, I feel free. I can go anywhere, stay anywhere. in the film he's a motivational speaker too and his keynote speech is entitled, "What is in your Backpack?" The question is really (in the film for sure, but not only) what are those things really that slow one down? How much burden do we all carry? How much does one's life weigh? There are times when it is great to look at all the things (realtionships and emotional traumas included), to pack them all in the rucksack and see if we can still move at all?! Hi Reka, loved the ruck sack analogy...I'm feeling mine's needing to get considerably lighter...thank you <3. it's 11.11am & i'm in my flat, yet again immersed in painful, tormented feelings. sometimes it feels like i'm going round in the same old circle without making any progress. i've just done 30mins of my expressive drawing with coloured felt tip pens. what came out in the end was that there is still a great deal of rage deep inside me stemming from my brother's death by suicide in january 2009.
i know from the 20 years of therapy i've done that a part of me is saying "i hate myself & it's all your fault (mother)". that thought feels destructive, but my belief now is that thoughts are generated from feelings, & it's more important to address the feeling rather than to try & change the thought, at least initially. the "abraham-hicks" model, that i'm interested in but don't fully subscribe to, would suggest that i move "up the emotional scale" from the grief i am in at present by "choosing a better feeling thought". the "primal integration" model, which is what i've been working with for the last 10 years & do feel able to embrace fully, would suggest that i explore & express the grief & pain some more, & also explore & express the part of me that wants to feel better. so again, i feel pulled in different directions - do i move towards my pain or my joy? therein lies some of the torment i experience. of course, i can do both, although perhaps not simultaneously. i'm in great emotional pain now as i write this, & i also feel a pressure to do something to make me feel better. but maybe it's better to stay with the pain just a bit longer, so long as i'm not getting into "useless suffering". i may have to call the samaritans (a crisis line) soon, to "work through" these intense feelings so that i can function & get on with the rest of my day. i call the samaritans occasionally to offload/vent, although i'm not suicidal myself anymore - i used to be 10 or 15 years ago. on a more joyful note, i'm setting off to heathrow airport in london tomorrow evening, as on friday i fly to dallas in texas to spend 10 days there with my fiancee, which i'm very excited about & looking forward to. we plan to spend some time around Lake Texoma on the Texas/Oklahoma border, as well as time in Dallas. if i'm honest, i resent having to phone the samaritans when i'm in great emotional pain, but it does always help me a lot. I feel for you Starhawk. And my intuition did mention that I didn't feel you'd fully processed your inner feelings during the therapy - when I look at your field, when I feel your field, to me, it is still all bottled up. There's levels of letting go. You can let go in different ways and for each, we must feel what the soul is wanting to express now, at this particular time. You can let go of pain and rage by being aggressive with it - shouting/screaming etc. But there's the risk of the ego/warrior taking ownership of this and over-riding other subtleties. So there's another way and I sense that's really important for you now: it's to feel into the pain with the divine feminine. To totally accept it. Become as one with it. No matter how painful. Not needing to change it or for it to go away. You titled the post "I want to feel better". Whether you like it or not, and whether it pushes buttons or not, it's the same level of ego that wants a particular day to be a particular way - like a birthday for example. You simply can't escape the path, which is drawing you into presence - that which is beyond all need for anything to be any particular way. The "one" - which you are at your core - needs absolutely nothing and can accept all exactly as it is. The soul yearns to bring you to this place by confronting all places where the ego would identify and own the situation - needing it to be a particular way. Your soul's purpose is Enlightenment - which means to be in an enlightened state through all events and circumstances - for only then, can the soul express the completeness of the one. If you want to help heal humanity for example, by being an empathic, energetic catalyst, you can only do so by feeling the pain of humanity. Which is pretty intense! So it has to matter less. This is the problem where various teachings are trying to make things 'right' for people. It will never be right! In Enlightenment, the pain doesn't get easier, in fact it gets worse, it just matters less. And you can't ultimately avoid the pull of Enlightenment, it is the driving purpose of the universe. Paradoxically, having said this, my experience is that when you completely accept reality as it is, without needing to change it, then disharmony tends to unwind and the background feeling of contentment arises. So in the midst of the pain - when you've accepted it - feel for the softness and lightness (as a feeling - not a thought/intention - a very important distinction). It will be there as some kind of soft vibration. I'd say this is what's being invited - or something along these lines. I can feel the over-riding movement to increase energetic sensitivity. ... i just want to briefly focus on this last post of yours Chris because already a week ago I found it a very sensitive reponse and it seems it went unnoticed and that's a shame. I truly believe this "way of being" described in a nutshell up there is one of the most important of paths in life I came here for to learn/practice - as so many of us here at OH web... I'm sure there are many other ways, many worthy approaches though. This particular one is not easy since it demands laser sharp self-scrutiny in the present moment always. It is easy to talk/write about it, it is easy to like this path and then "decide" to follow ... and it is very easy to get off it - even unnoticed. I'd say life is full of challenges wanting to blow you off this particular "ship", or just knock you off your feet while walking - like what happened to me last week haha (i sprained my ankle, can't walk since, of course as a working mum of 3 i have to and as a result i can't heal, and am stuck in being stuck, literally :-D). So taken as an allegory for torment I face (again) the question of pain. Body is such a useful servant and sometimes it is easier to work with it than with fuzzy emotions, or mental content. So where/who am I in each and every step? Am i my pain? Is it the pain that defines me? When yes, what happens is that my body starts compensating, i.e. i start limping. Take it as metaphoric and it doesn't even need more evaluation: it is a sure way to be off track with time, no to mention how the rest of the body starts to break down too, knees, hips, etc. Or am i in each and every step through the pain into the 100% presence in the moment. When yes, what happens is that I start to move/walk like the moment demands of me. Mostly actually it asks me to slow down and position myself so that I don't limp. So again, as mentioned in one of the posts earlier/above, pain in itself is a useful medium, a VERY useful, clean, honest medium in fact if one lets it, to transcend our limitations. But it is very easy to get lost in it in all kinds of ways: anger, frustration, fear, desperation, doubt, lack of life, feelings and thoughts of martyrdom, etc. etc. These are all our resistances, internal avoidance techniques. Because who on earth likes pain? I could now go and analyse in depth what this injury symbolises to me (and i sure do that too to a certain degree). "Why" did this happen? "What" have I done "wrong"? "What" do i need to "do" to make it go away? "How" do i need to change? "What" do i need to learn? But to tell you the truth: i've tired myself with these approaches already. And what is most healing is simply keeping walking in the moment. Feeling the moment. Reaching out and through into the "me" in every single step (painful or not). So that's what i'm trying to do at my best. 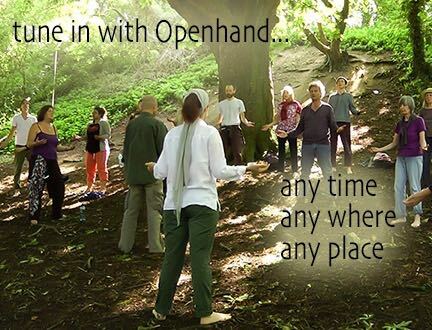 Thanks for sharing Reka - yes your words are completely aligned with what Openhand is working to bring awareness to. It's about 100% awareness, completely bringing awareness into the present moment. Accepting it as it is - in fact more than that - embracing it as it is. There's a vital difference. It's only this way, that true liberation can come. Stuck in my Prison - shall I stay or shall I leave? I haven't posted anything for a while as I've been mulling over or "processing" what's been written, & also I've been away on a holiday with my fiancee in Dallas, Texas. My experience is that it often takes me some time to "digest" what happens in my life, or that I am a "slow reaction" person. This particularly applies when someone says something very profound or challenging to me, & I feel either a sense of "that's a bit over my head" or a desire to protest, react defensively or get into an argument. With the 20 years of therapy I've done, I can see beyond the need to react, be defensive, explain or justify myself & as a Pisces I'm not very much drawn to getting into arguments & prefer to swim away & then swim back when things seem calmer. Occasionally, I do "rise to the bait" & enjoy the drama & excitement of an argument or heated discussion, especially when I'm feeling angry or stressed myself. I can also be provocative at times & deliberately wind people up (& enjoy doing so), although I prefer to do that in a way that doesn't mean that lots of anger comes towards me. When I'm in a provocative mood, it's more a case of "light the touch paper & stand well back"!!! So that's a bit more about me & no doubt a reflection on how I'm feeling this morning. To return to my headline, I've just come back from a Primal Integration intensive workshop, & one of the themes I was working with there is my frequent sense of being stuck in a prison (which I know is of my own making). I drew a picture of me looking out of my barred cell window & I'm SAYING "Let me out!" but I'm THINKING "I'm rather comfortable inside here as at least I get looked after & provided for". This has been a theme of my life & my therapy, & I am well aware of where that comes from in my childhood - parents who were very controlling & repressive, & also anxious & over-protective. On a deeper level, the question arises of why my soul chose to be incarnated into such a family - what were the "soul contracts" between me & my parents, what were the unresolved past-life or karmic issues behind that? Having had time now to process Chris & Reka's comments, I do agree that it's better to accept & even embrace painful feelings/thoughts/experiences rather than trying to change them or find ways to make myself "feel better". This is also one of the "philosophies" of Primal Integration, where allowing myself to feel the full force of "bad" (I don't really believe in "bad") or "difficult" feelings is seen as a vital part of the growth process. I also resonate strongly with Reka's comments that there are various ways we can distract ourselves from feeling our pain, including going into anger, resentment, self-pity or martyrdom. "So there's another way and I sense that's really important for you now: it's to feel into the pain with the divine feminine. To totally accept it. Become as one with it. No matter how painful. Not needing to change it or for it to go away." I'd like to know more about this aspect of the divine feminine, & perhaps I could have a 1:1 session with you on this sometime soon, Chris. I will be leaving the UK on about 25th April to set off on my travels to Asia, starting with Nepal where I intend to do the Everest Base Camp trek after a few days acclimatising in Kathmandu. Getting back to my theme, this posting was prompted by my waking up in a bad mood yet again, & feeling a sense that I'm torturing myself in my thoughts especially, & wanting to get rid of or escape from painful feelings & tormented, circular, familiar thought patterns. This happens on about 5 out of 7 days for me, & I'm pretty bored & fed up of it. I'm aware enough not to dump my bad mood, or to take it out on another, although occasionally my fiancee might get the brunt of it, especially when we are together physically. As we are in a long distance relationship at present, most of the time we are physically apart, & I generally choose to sit with/deal with/explore/process/work through my bad mood in some other way before contacting her. 15 or 20 years ago I used to find sleeping a pleasant & refreshing experience about 80% of the time. Since I've been working on myself therapeutically, & especially since I've been working on myself/opening up spiritually, I've been increasingly experiencing sleep as "hard work" & waking up feeling exhausted. My sense is that as I sleep, my spirit engages/communes with the Spirit World, & I do a great deal of healing work on behalf of myself, others & the planet as a whole, transmuting dark/heavy/dense energies into lighter ones. I have a deep sense that, as a lightworker, that's what I'm called to do in this incarnation (it's what I "signed up" to do before I was conceived). I agree with Chris' earlier comment about the intense nature of this aspect of being a lightworker, & the importance of moving to a place where the pain "matters less" as it intensifies. You lot had better be grateful for all my hard work & suffering. I can't wait for my death so that I'm relesed from this burdensome task. I'm not happy about my "martyr" side. Does anyone have any constructive feedback on this? 2.) In this letter of yours I (too) was given a mirror to see how frequently you/me/we all sometimes like labelling ourselves, and squeezing ourselves into categories, ideas. Dear StarHawk, would you care to go back and read your letter and see how many faces you gave yourself just in the small time of writing it? I feel there is power in our words and formulations, and it might seem only a small difference, but there is a difference between saying what we do (dynamic action) in one particular moment, or what we are (or we are like). 3.) Continuing on this thread of what we are (not), have you also considered, as a lightworker, how you are ALL? And in your moods, like e.g. the one about being low this morning (which btw i am sharing with you and have worked with it in the last couple of hours as well), have you ever tried to conceive of yourself as being a dynamic part of a continuous happening, or flow, which is beyond the personal? To put it more simply: that we are infiltrated with all kinds of energies that we might mistake as only ours or or recognise as being beyond (though still part of and as such still influencing) the construct called "me" or "mine"? Sorry to be in a rush to write this. And wow! I'd love to go to Nepal off tracking too! What a treat! This forum on the subject of pain and suffering is interesting to read. It seems like for a large percentage of people, trauma is a catalyst to explore their inner being more deeply. In that regard as painful as the experiences may be, if they have allowed you to become more self aware, and put you on a path of spiritual growth, then these negative experiences offer some positives. With all the bad experiences I have had, I am lucky enough to say they give me no grief anymore. I hope that everyone who is having trouble moving on from the past, can find the tools to create a better now for themselves. For me years of meditation and separating my consciousness from my mind, has been the best experience of my life. Having no thoughts seemed impossible, but with meditation, you can achieve the unimaginable. Thanks Reka & James for your comments. I have now been in Nepal for a month & am finishing my 2nd trek in the Himalayas. I have been drawn to stay in Ghandruk for 3 nights, a picturesque mountain village near Pokhara, but a place with the dark energy of torture & murder hanging over it from the recent Maoist insurgency. I have been "working with" this energy since my arrival here, with the intention of bringing some healing & cleansing to the earth & the people of this location, & no doubt also vicariously to myself too. I thought that this post would fit better into "The Tormented Soul" thread rather the "Travels in Asia" thread. It seems that I am regularly drawn to working with dark & heavy energies in this incarnation, for the purpose of understanding them & their place in the overall scheme of things, & of transmuting them into lighter energies. I've titled this post "vengeance" as that's what came out of my creative drawing earlier today. There was a clear case of brutal vengeance which happened in Ghandruk 10 years ago, & one of the victims was the owner of the lodge I'm staying in here, which I only found out about yesterday. The desire for vengeance has been a theme of my life & personality, which I'm not proud of & would like to remove or "let go" of. For various reasons which I'm now aware of after 20 years of therapy, when something happens that hurts me, I tend to absorb the hurt rather than get angry or cry, & make a vow of vengeance at the person, organisation or situation which (I perceive) caused the hurt. "One day I'll get you back for this - just you wait!". So my "motto", which was largely unconscious till I started therapy, was "don't get mad - get even". I would like to change this "programming" as I can see it doesn't serve me & leads to my experiencing increasing & lingering pain. However, at some level, it has become an addiction for me, as thoughts of vengeance do seem to bring temporary relief for me, even though I don't "act them out" in deliberate ways. I'm sure this is holding me back in my spiritual development. I believe most strongly in the principles of letting go & forgiveness, but don't seem to be able (or willing?) to put them into practice regarding my thought life. I'd welcome any constructive comments or feedback. I'd say everything you're now experiencing is really positive. I trust you don't mind me saying so, but the sense I've often had, is that some degree of positive programming has actually distanced you from feeling the true pain of life. I sense it's been wrapped into the 'manifesting abundance' distortion which has understandably lulled many. So what you're doing now feels very positive indeed. I've no doubt you can help transmute such situations by bringing light into them. But it would sound really hollow to someone who'd experienced such trauma if we weren't able to truly empathise with them by feeling and knowing their pain too. A true healer would be able to sit in the depths of someone else's darkness, feel it as their own, yet not be tainted by it. For only then can your energy attune to theirs. And in attuning to their energy, you master the possibility to catalyse change. Not at a shallow intellectual level, but where it matters most - in the depths of consciousness. So my encouragement would be to continue. And always look for the truth at the core of every distortion - because there always is one. Take vengeance for example. I'd say the core truth in this is recognising an injustice that the universe will 'want' to unravel. And then as a catalyst, becoming an amplifier for this corrective energy. Plus in situations like these, there's bound to be emotive passion bubbling up. This is all fine. But it's the on the blade edge, in the grey areas, when such authentic impulse gets owned by the ego thus rendering it as 'vengeance'. And this is what walking the path is all about. It's not at all about the cosy, unchallenging areas. It's about entering the grey areas and finding the core of your truth in them. In this way we transmute the density into light. So keep on going. You're doing a great job. It will evolve you immeasurably. this one is one of your beauties again, thank you, and it reaches me heart too at the moment. In this game of "Hotter. Hotter. Colder. Colder" (sometimes also called life) we are all here simply to find our soul's purpose, and i don't mean that it is a one time event "kinda thingy" but that we live our lives as best as we can and are in a process of continuous discovery. The language the universe speaks to us through is our emotions (pain and torment as well), our passion is the "hotter hotter", our depressions are the "colder colder". But for sure one way to find this purpose is to feel freely the whatever whenever. Of course to be able to feel freely we are all called to live from a place where we no longer run from life, or rather where we are no longer running from death, where we start choosing life. This is pretty hard actually, as we are mostly skilled in running from death... i often find that it is WAY scarier, but more vivid in feelings, to choose life. Simply because everything is just what it is. And one more, being on the 'Path of Feeling' is a combination of openness of the heart with the fierceness of the gut, grabbing life for what it is worth while at the same time surrendering to the Soul's plan for our life. Does this now have anything to do with this thread?!??! Never mind i post it, love to you guys! Dear StarHawk, I humbly offer some words. As we move out of "old" consciousness, refreshing energy is available to us that has the power to catapult us into a new era. 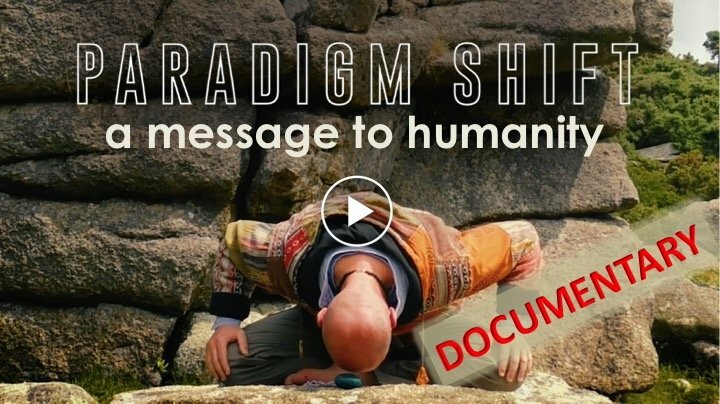 The opportunity we have brother, is to take responsibility for our lives and consciously shift ourselves using the momentum of this energy through authentically (I especially like of this word that Chris is so fond of expressing) resolving the energies of opposing consciousness. I know the truth of this as I see it daily in my own life and that of so many people around me (and I see a lot of people in my line of work). We have been lead to believe that Love is something that we have to work at. Our religious paradigms and social programming have guilted us into believing that we are not worthy, yet nothing is further from the truth. Once we personally acknowledge that we are, at our core already Beings of Love, we realise that rather than working at finding love, we need actually work at "de-cloaking" ourselves of lifetimes of emotional layers that have hidden ourselves from our true Self, thus revealing that Love. 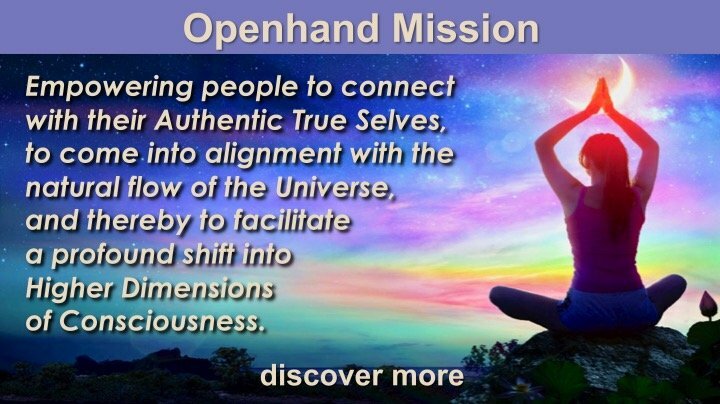 StarHawk, without intending to trivialise the depth of your heavy emotions and the impact that they have had on your life to now, it appears to me that having been drawn to Openhand, you have consciously recognised that you are already a person of Love. Much of what we think of as Karma, I believe, is largely the vestiges of habitual thinking combined with the remnants of past energies that we have carried over. Opposing consciousness would have us believe that this is still us and desperately attempts to reinforce this through continued social programming/engineering. For the many pioneers living out beautiful life today, the onus is on us to shed our tatty cloaks, like a reptile shedding its skin, and allow the new energy an opportunity to dissipate past emotions, allowing them to dissolve into the understanding that they no longer serve our Higher Selves. "Who am I to be brilliant, gorgeous, talented, fabulous? Actually, who are YOU not to be? YOU are a child of God. YOUR playing small does not serve the world. There is nothing enlightened about shrinking so that other people wont feel insecure"
I left my shop this morning to sit at home in the garden to write this and I trust that I have been able to convey my thoughts in such a way that where ever you are, the timing is right for your understanding of my intent. Thanks Mike, Chris, Reka & Kelvin for your comments in response to my last post on the subject of vengeance. I've finished my 2nd trek in the Himalayas now, & I'm back in Kathmandu, staying in the guest house of a Tibetan Buddhist monastery on the outskirts of the city, near the famous Monkey Temple. The Monkey Temple is a hill on which several Buddhist & Hindu temples have been built over the centuries, & has been a place of pilgrimage for a very long time. I walked to the top of it about 4 days ago, & it reminded me of the experience of walking to the top of Glastonbury Tor, which is in the UK, where I lived for 2 years before setting off on my travels around Asia. I stayed for about 2 hours at the top of the Monkey Temple before descending, & I believe that I had a powerful spiritual "cleansing" experience there - I had a sense of lightness & that I had accomplished something energetically as I walked back down, similar to what I used to experience at Glastonbury Tor. However, in the 2 days following that, I went through an immensely painful time emotionally, & felt overwhelmed & crippled by my emotional & mental experience. I felt weak & exhausted, & slept for vast periods of time (perhaps 12 - 14 hours per day). I have had similar experiences in the past when I've been "flooded" with intense emotional pain/torment. It was a bit like being depressed in some ways, but I was more in touch with my emotions than in depression. I've now come through that experience & am feeling a bit lighter, clearer, & more able to "function" without feeling the need to retreat to my room, collapse on my bed, & sleep. One of the realisations I've had as a result of this experience, & as a result of starting to read a book I picked up from the monastery library "After the Ecstasy - the Laundry", by Jack Kornfield, is that there is still a vast amount of anger & hate locked inside me being, which is seeking to be truly felt, accepted & released - in that order. I agree with Chris that my energy field still contains blocked & repressed emotions, despite the 20 years of therapies that I've already done. I'm sure that this repression is physical as well as emotional & mental, ie that my body has become physically "armoured" to contain trauma from the past, & this shows up in my posture, the inflexibility of some of my joints, & especially in the legs, where I still hold much tension. Perhaps I will explore the theme of anger & hate some more in a future post, but to be honest I have worked so much on these themes for the last 20 years, that I'm pretty sick of them. Anger is often described as "the front end of pain", so maybe it's the pain I really need to go looking for. Or do I? I've spent a great deal of time, energy & money exploring my pain. Is that the only way to healing & soul evolution? How about exploring my ecstasy instead? I'm very interested in the work of Lynx Wildwood, a magician, quabalist & therapist who is based in Brighton in the UK. I spent 2 years working with her individually & in her groups, & she has the perspective that pain & ecstasy can both be routes to healing, transformation & self-realisation. She has recently written a book entitled "I Am God - 7 Steps to Personal Divinity", which is in part an exposure of the myth of Adam & Eve, & how religion has used that to control & repress humanity, especially the Divine Feminine. Not sure how I got onto that. Maybe I do need to explore my anger, hate & pain some more, but am avoiding that. At present, one area of anger & pain that is surfacing for me is that linked to my "failure" to establish myself in a career path in my adult life. I was a high achiever at school, had high expectations of myself career wise, but on leaving university kept failing at various jobs I tried, couldn't find anything I could "put my heart into", & in the end stepped off the "career train" to focus on my personal & spiritual growth. I don't think I've worked through the pain of that failure yet. I'm 49 years old & don't have a career & don't earn my own money. I'm fortunate that the Universe has provided me with other inflows of money on which to live. Some of my contemporaries from school & university are headmasters, professors, famous politicians, scientists, captains of industry etc, & I know that I am potentially capable of holding a responsible & demanding work position. Sounds like you're having a truly profound journey - it's wonderful reading your sharings. What it invokes in me to say, is that the inner vehicles are subtle vibrations of energy, which nevertheless subtle, can have an enormous impact in our outer world. And these subtle layers go ever deeper. As they say... "like layers on an onion". I often observe and hear from people "I've done that now, or processed that now" when all the while, I can feel the layers that haven't yet been touched or opened. Imagine you spend 20 or 30 years living unconsciously. Indeed lifetimes living that way. Imagine the amount of disharmonious energy people have bottled away. When you reflect on the painful journey of humanity through history, you can imagine what they must be still to process. Some of these layers can be invoked through courageous, positive commitment and confrontation - like with anger. But if this becomes a dogmatic approach, like any approach that has a fixed discipline, then the likelihood is we may well miss the thread that pulls the next layer. Each one will be unique and different, requiring a slightly different approach to unraveling. Discovering what that is, becomes the engine for increasing sensitivity. As for bliss and joy, there's definitely a balance needed within the processing. If you spend too much time exploring the pain without balancing that with joy, then the tendency is to get locked in spirals of negativity. But if you combine both, then you keep penetrating the density and making it malleable so that it can release. And you don't get locked into negative spirals. So I'd say balancing both is really key. I wish you well on your continued travels. I arrived in India yesterday, in Delhi. My ego took a big hit as I got caught up in a "pre-paid taxi" scam at arrivals at Delhi airport. I thought I'd done lots of research beforehand about common scams in India, but I'd never been to the country before & I was on my own when I arrived. Last night my fiancee joined me so I'm feeling much safer. In the end, I only lost 10 UK pounds, after kicking up a fuss. But it was a scary experience & I felt out of control & vulnerable. It happened in the morning & I was shaken up for the rest of the day, but it must have touched a very deep place inside me, as overnight I wasn't able to sleep at all, & was fuming, going over what had happened, wishing I'd done things differently, & plotting angry revenge on the perpetrators. My fiancee pointed out that it was my ego getting hurt that was causing the greatest pain. Some Indians, working together as a team in a clever, well practised & polished scam, had got the better of me on several counts. I'm very stressed today, not having had any sleep last night. I'm scared that I won't be able to let go of or move on from this obsession. Tomorrow morning, we fly to Leh in Ladakh to the north of Delhi, & I can sense another scam brewing linked to the hotel I've booked there. Someone purporting to be from that hotel phoned me a few days ago to say the hotel was fully booked & suggested an alternative hotel. I sensed a scam, emailed my preferred hotel who said they had plenty of space on those dates. I've given my flight details to both the genuine & hoax contacts, so there might be 2 people holding up a sign with my name on arrival. My spiritual enquiry is why is this bothering me so much? I know that something inside me is hurting like mad right now, & I don't know how to relieve it. It feels like I am fighting off a constant anxiety attack. I guess I need to rest & take it easy today, as I'm very stressed & tomorrow will be a big day. Leh is at an altitude of 3,500 metres, so we both might need a few days to adjust to the altitude. I'm sure that this is all for the best, & a huge growth opportunity for me, but it hurts a great deal. I don't like being cooped up in small spaces & it's hot here. I can feel much rage, a dangerous feeling, a desire to explode at someone. I want to go home, & I don't know where home is. I'm full of hate, bitterness & rage, & need to let off some steam. Underneath the anger there is inevitably fear. I'm scared about an email I wrote yesterday to someone important to me & the reaction it might provoke in them. I'm scared of other people's anger & perhaps more importantly I'm scared of my own anger. I'm kicking myself for allowing myself to be duped into handing over an extra 2500 rupees for a taxi journey that should have cost 400 or 500. However, I was in a vulnerable position & my safety was a concern to me at the time. Underneath fear there is usually hurt or pain of some kind. I know that my trust was broken as a young child, so the pain of that is being triggered. that's probably what really hurts. I trusted friendly, chatty, smiley people who turned out to want to exploit me financially. Underneath pain & hurt there is usually need. My ego needs soothing & massaging, but I also need rest & a sense of safety. When i'm hurting my instinct is that I want to be left alone, but I've just reconnected with my fiancee so that seems difficult to do. I just want to stay in the safety & comfort of our hotel today, rest, sleep, do my creative drawing & go swimming. I don't want to face Delhi today!!! Thanks for letting me share on this forum. Lot's of teachings out there and spiritual leadership suggests people quickly let go of such ego games. But I'm sure you know us by now, Openhand has a completely different approach. You can't truly let go of something until you've fully realised and integrated the lesson it is there to give you. So it would seem this is about deception. The whole of humanity is being deceived right now. Society is a deception designed perfectly to keep people from finding out who they really are. And it goes back tens of thousands of years. So maybe this is the karma you're dealing with - your understandable reaction to this wider story sparked off in these apparently smallish issues? In order to fully process it, you have to keep feeling it, allowing yourself to express what comes up, working with the alchemical tightness inside. In due time it will unwind and you may get synchronisitic insight into the wider karma. Many thanks Chris & Trinity for your responses to my last post. Yes, I agree completely with what you said, that these challenges I'm experiencing on my travels are reflections of my own inner turmoil & opportunities to resolve some of the deeper issues needed for my soul's evolution. I'm now in Leh in the province of Ladakh in North India, which is very similar to Tibet in many ways. The town is at an altitude of 3,500 metres, higher than I've ever been in my life, which makes the air rarified but the skies crystal clear, & a deeper blue than I'm used to seeing :-) There are many Buddhist monasteries here, & a strong sense of a long history of spirituality. I'm here with my fiancee & yesterday we visited the Leh Palace, high up on an outcrop of rock overlooking the town. I sensed a powerful spiritual energy there, & my hands started tingling with the energy. After that visit, we had lunch & then my fiancee felt drawn to a crystal shop she spotted. There we both had a powerful encounter with a healer, who gave us both healings of different kinds. I felt prompted to buy a crystal "healing wand" from him, & he used it on me to demonstrate it to me. I felt a particularly strong stirring when he was pointing the wand towards my solar plexus. He spent more time with me fiancee, talking with her and giving her gentle guidance & suggestions, to the point where she was moved to tears, which is unusual for her in such circumstances. That night, further synchronicities happened, & we had some very deep conversations. I can sense the Spirit World working very strongly in both of our lives on this Asian adventure. I'm away from the UK for a year (or more), & my fiancee is with me in India for a further 4 weeks. We are going with the flow, & seeing where we are guided & whom we meet. Tomorrow we are going rafting on a medium grade river which includes 2 stretches of rapids. Neither of us have done this before & we have been told to expect to get wet! All this is great in so many ways, but I'm finding I'm experiencing high levels of stress & anxiety much of the time, & I get "pent up" with strong feelings that are very difficult to manage. Sometimes, I feel like I want to explode at someone, & I'm a bit concerned that I will take this out on my fiancee in some way, but so far that hasn't happened. I've got lots of "coping mechanisms" I've developed over the years, & I'm having to use a lot of them. One of my favourites in these situations is physical exercise especially swimming, but there is no opportunity to swim in Leh. We have just changed hotels today. We spent our first 3 nights in a very comfortable hotel, but our arrival there was spoiled by a suspected scam that we managed to avoid. It seems to be a favourite in India. We booked the hotel on booking.com, & soon after got a phonecall saying that hotel was fully booked & an alternative was suggested. On arrival at Leh airport there was a man waiting for us with my name on a card & the name of a different hotel. We ignored him, & got a regular taxi to our preferred hotel, which of course wasn't full. My fiancee challenged the manager as to why we weren't met at the airport, & he just smiled apologetically back. I'm suspicious that he might have been part of the scam, that another hotel was paying him commissions to divert guests to them, where we would probably have received poorer value for money. We've now checked into a very pleasant guest house on the edge of Leh near the Shanti stupa, with amazing views over the mountains & about a third of the price of our first hotel. I'm picking up an honest, straightforward vibe from the management there, & am looking forward to a relaxed stay. The India experience is continuing to push my trust, safety & violation buttons. Last night I had a dream about walking around the streets of India alone by dark, looking for a place to stay. A man appeared who at first didn't seem threatening, but the another appeared & approached me with a knife which he held to my throat. I felt very scared in the dream & when I woke up. My "adult self" believes that I am safe in this world, can look after myself & can trust the Universe for the protection & guidance that I need. However, these beliefs are really being put to the test at times, but I know that this is all part of my growth process & soul's evolution. I'm also aware that I still have unresolved "post traumatic stress" from childhood abuse issues, much of which is still locked into my musculature & posture. I'm believing that my travels in Asia will go a long way to resolving those, possibly through yoga or other physical/spiritual practices. I'm still stressed & anxious as I finish writing this post, but I know that it helps to share in this way & I'm grateful to the Forum & other outlets I have to connect with others in this deep, honest & expressive way. I'm really thrilled for you - sounds like you're having the adventure of a lifetime. Keep going my friend! I've been staying in Old Manali in Himachal Pradesh with my fiancee for about a week, & it's been a very powerful, intense & at times extraordinarily painful experience. As is my way, I usually choose to "dive in" to the pain, explore it through meditation & creative drawing/journalling, sit with it, let it take its course & then I always find a way out of it, which brings a sense of completion, relief & often new insight & understanding. 2. Transmutation of certain karmas on behalf of the wider community. 3. Having a variety of experiences (some pleasant & some challenging), to provide opportunities for my soul to evolve. I have had awareness of all these for some time now, but it has never before come to me so clearly. The immediate upshot of these insights, was to help me with my thoughts about my future career. I have been sensing for many years now, a calling towards a 2nd career as a healer/therapist/spiritual teacher of some kind, perhaps a combination of all three. Over the last 8 years I have done numerous trainings in homeopathy, medical herbalism, spiritual healing & most recently have started a training in life coaching. The realisation I had this morning is that I have to prioritise my self-healing before I can properly be ready to work as some kind of healer myself. There is still too much unresolved trauma & anxiety inside me before I can be an effective healer, therapist or spiritual teacher, even though I have been "working on" my healing intensively for about 20 years already. That felt very liberating for me, as I have been putting pressure on myself in the last 2 years especially, to get going in my new career. I'm 49 years old, & it may be a few years yet before I can fully commit to a new career, & my intuition tells me I might be about 60 before this 2nd career begins to peak. I anticipate that I might work until I am at least 80 or even 90. It feels to me that I have had a career break from age 35 to 49, in lieu of a retirement. I'd be very interested to hear if anyone else resonates with what I've written in this post. Your words have touched a very special spot in my soul this morning and I thank you. We have many parallels to our journeys, aside from details. I must make this short for now as I am in preparation for my daily Matrix interface. I feel a very strong pull in you toward your healing path and lend my blessings. I am in my 50s and have recently been able to coalesce my many paths into the one I am now experiencing as healer. It is a wonderful experience. I would not be so concerned about reaching for the "perfect" moment to commence. I have experienced deep healing within myself in the process of lending to the healing of others. Some of these could not have happened without the joined experience. Approach each healing interaction through your authentic being. Trust in your pull. The rest will flow naturally. I trust we will interact much more in the coming times. I'm, currently in Mcleod Ganj in the state of Himachal Pradesh in North India, with my fiancee. After 6 days here, we are leaving tonight by overnight bus for Delhi, & I will be seeing my fiancee off at Delhi airport on Thursday evening for her flight back home. We have had nearly 5 weeks together in India, which has been utterly amazing, powerful & growthful for our relationship, at times most enjoyable &, inevitably, at times challenging. I used to find the more challenging times in relationships very distressing & upsetting & saw them as "negative" & undesirable, but now I see them as great "growth opportunities" & times for me to look at myself, my "shadow" & possibilities for me to grow as a person & in my ability to love myself & others. For me, there are 3 keys to actions I can take to promote a healthy, loving relationship. 1. Expressing honestly to my partner how I am feeling towards her, especially when that feeling is difficult, uncomfortable or "negative". 2. Asking my partner directly for what I want or need, whilst recognising that her answer may be "no" or that we may need to negotiate & compromise. 3. Setting healthy, loving boundaries for myself to take care of my needs, respect my limitations & prevent me experiencing unnecessary hurt. All of these points need, of course, to be moderated by sensitivity to my partner, others & the circumstances of any situation. They work for me, but I often forget their importance & slip back into my co-dependent tendencies of keeping quiet, pleasing others & not wanting to "rock the boat" or be confrontational. I always pay a price for this, which for me is usually feelings of resentment and/or depression, & unhelpful fantasies about punishment, taking revenge & getting even, which drain my energy. I feel angry as I write that, as it reminds me of how much of my life has been "wasted" by not standing up to others & being assertive, allowing myself to be controlled, bullied & subdued by the tricks, games & power plays of others. From a spiritual perspective, I don't really believe that any part of my life has been "wasted", of course. Sometimes, we need to experience an unpleasant situation over & over again, in order either to learn & integrate a lesson fully, or perhaps to process some karma for ourselves or for others - that we may have agreed to as part of our "mission" in a particular lifetime. I believe in the concept of "soul contracts" - that are are some things in our lives that we have agreed to experience before we incarnate, for the purpose of the evolution of our souls. This can include particular relationships with people we encounter, places to live or visit that we are drawn to, disabilities and major illnesses that we experience, accidents, other major dramatic, powerful or unexpected life events, etc. At the Kopan Monastery just outside Kathmandu that I visited in May, I read numerous teachings & sayings that I found very helpful. One of the said something like "Illness is one of the greatest opportunities to discover the truth of who you really are". A hard statement, but one that I resonate with from personal experience. After my fiancee leaves, I have a further 5 months left on my Indian visa. I shall go where I feel the "pull" of my intuition. I thought about going to Rishikesh to do some yoga, but fellow travellers have been telling me it's still very hot there in August, as it is in most low lying places in India, & as a Westerner it's not the best time for me to go. Heading back into the hills of Northern India seems to make more sense, & I'm feeling a "pull" to return to McLeod Ganj after a few days in Delhi. I feel strangely at home here, probably because the weather is rather British (rains a lot) but more to the point it's the home of the Dalai Lama & the Tibetan government-in-exile. I come from a Polish background where my parents & grandparents were displaced from their homeland during WW2, in a similar way to the tens of thousands of Tibetans who have fled their homeland as a result of the Chinese invasion of Tibet & the subsequent persecution & oppression of their culture. I'm wary of putting too much focus on issues of oppression, torture & loss of homeland, but that seems to be where I keep getting drawn back to. Maybe I still have more work to do in this area, at a spiritual and practical level. Today, I started to make enquiries about voluntary work I could do here to help the displaced Tibetan community, such as teaching English language. Part of me would rather do something else, such as trekking or yoga, but maybe this is part of my "soul contract" & where the greatest opportunities lie for the evolution of my soul. I sense that volunteering would do me a lot of good at this stage of my life, as I have been very focussed on myself in recent years & need to do something in service for others. I'm now in Delhi, staying in a hotel in the "Tibetan Refugee Colony" to the north of Old Delhi. Once more, I feel "strangely at home" to be amongst 2nd generation Tibetan exiles, who are working to preserve their cultural identity here while the Chinese communists continue to oppress & subdue the Tibetans living in Tibet, & their culture continues to be destroyed & diluted in their homeland. It's obvious to me that the reason I feel so at home here, is that it mirrors my upbringing as a 2nd generation Polish exile, born & raised in the UK, to parents who lost their homeland to the Russian communists who "ethnically cleansed" them in 1940, & 1.7 million other Polish citizens, from what was Eastern Poland before WW2. I feel my emotions running high as I type this, I am connecting to feelings of anger, outrage & a desire to resist & fight back. There are slogans daubed all over the walls of the Tibetan Refugee Colony here which say: "We burn, we resist, we fight for freedom in Tibet" which I find very impactful & stirring. The words "we burn" refer to the numerous self-emolulations that have been occurring in Tibet in recent years, where individual Tibetans, from all walks of life, dowse themselves with petrol & then set themselves alight in public, as a protest against the Chinese communist oppression & tyranny. 90% of them die as a result, & the remainder are taken into Chinese custody & never seen again. It's a truly desperate way to protest, but in line with the Buddhist ethics of not harming others. I keep getting drawn back to situations, environments & cultures where there is a pervading energy of oppression & torture. From a spiritual perspective, I'm wondering whether it's in the best interests of my soul's evolution to go with this "attraction" & spend more time with this energy, or whether to say "enough is enough", leave the processing of this karma to others, & to follow a different "pull" that I'm feeling - a pull towards my own, direct physical healing - to leave Delhi & travel to Rishikesh - the yoga "capital" of India. I think that my mind is already made up - Rishikesh, here I come!!! I arrived in Rishikesh 3 days ago, which seems like an age ago now. Rishikesh has been a centre for Hindu pilgrims for many centuries, & many people come here to bathe in the waters of the Ganges, which is reputed to have healing properties. The Beatles made Rishikesh famous when they visited an ashram here in the late 60's, & since then it has drawn many Westerners here to practice yoga & meditation. The energy here is similar to that of Glastonbury in the UK in many ways. It was a relief to arrive here from Delhi on Thursday, & I checked into a delightful guest house on the outskirts of the Ram Jhula district, which is away from the town centre over the other side of the Ganges, & is in the "spiritual heartland" of Rishikesh - where there are many ashrams, yoga centres & Hindu temples, & also it's free of motor vehicles apart from a few scooters & motorbikes. As I often experience on my travels, it was great arriving & then difficulties set in within 24 hours or so. On Friday, I went for a long walk around Ram Jhula & Laxman Jhula with a new friend I had made in Nepal 2 months ago. He had already been in Rishikesh for a month & was showing me around. Although it was hot & humid, I was keen to explore, & also I wanted to see an Ayurvedic doctor because of a sweat rash I'd been developing, which wasn't responding to my usual tea-tree oil treatment as well as I'd hoped. Early on in the walk, my friend shared a moving story with me about someone's suicide attempt a couple of years ago, which I hadn't expected to hear from him & caught me by surprise. As the day progressed, I became aware of a "middle ear infection" (something I get every year or so), developing in my left ear - my friend had been walking on my left side as he shared the story. I shrugged it off initially, & even went for a trial yoga class soon after we returned from the walk, as my ear wasn't causing me any pain, just a slightly "full" or "congested" feeling. The yoga class was great. I was the only student there, so got 1:1 attention. I'm a beginner at yoga, & my leg joints are very inflexible, so I have to go slowly & can't even attempt some of the poses. The class was billed as Ashtanga yoga, but the teacher soon realised that was too advanced for me so switched to Hatha yoga. I didn't overstretch myself & at the end of the class felt pleasantly tired & energised at the same time. That evening I felt a surge of anger released in me, which felt good as I often experience lethargy & boredom. I found myself watching a lot of youtube music videos late into the evening - angry, energetic music from my teenage years & it felt really good to connect with that energy. There was a rage inside me which had been freed & I felt excited to be alive. 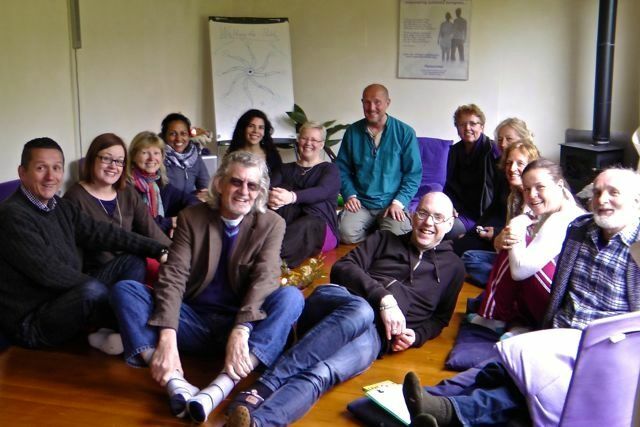 I had lots of big dreams that night, which culminated in a dream about taking part in a "Primal Integration" workshop - which has been the setting for much of my personal growth work over the last 10 years, & feels like a very supportive & accepting family to me now. I the did some of my usual creative drawing, which has become a form of meditation for me, & then became aware that my ear infection was getting worse. I decided to go & see another, more local, Ayurvedic doctor, on the recommendation of the owner of my guest house. Yesterday evening, I talked this out with my fiancee over the phone, & the penny finally dropped as to my bodily reaction. My brother took his own life 4 years ago, & hearing the story from my friend brought some of the unresolved grief for my brother back to the surface for me. Last night my sleep was more disturbed, & I had some nightmarish dreams towards the morning. When I woke up, my ear was already better, even before I started to take the Ayurvedic herbs which I collected before breakfast. Nearly every night, I go through a great deal of emotional pain & turmoil as I sleep, as if I'm working very hard on something, grappling with some deep issues as I sleep. Usually, I wake up in the middle of the night about once in this state, & there is some relief in waking up & going to the bathroom, although when I look at my watch & see that it is, say 2.30am, I think to myself "oh no, still another 5 or 6 hours of this struggle to go". When I eventually wake up in the morning, usually at about 8 or 9 am, sometimes later, almost always I'm in a state of great emotional pain, as if I hate everyone & everything, including my own life. There's often also a sense of "it's not fair!" inside me, as I remember the times 10 or 20 years ago, when I usually enjoyed sleeping & often woke up in a very good mood, feeling refreshed & looking forward to the day. It usually takes me an hour or two after I get up, to "move through" this hate & pain, to an emotional state where I can engage with the day in a functional way. What helps me do this is a combination of meditation, spiritual practice, creative drawing & just the physical process of getting up, washing, showering, dressing etc. I don't like having to go through all this each morning, & I'm wondering if this is "normal" for someone on the spiritual path. I don't like the word normal, but it seems to fit here. 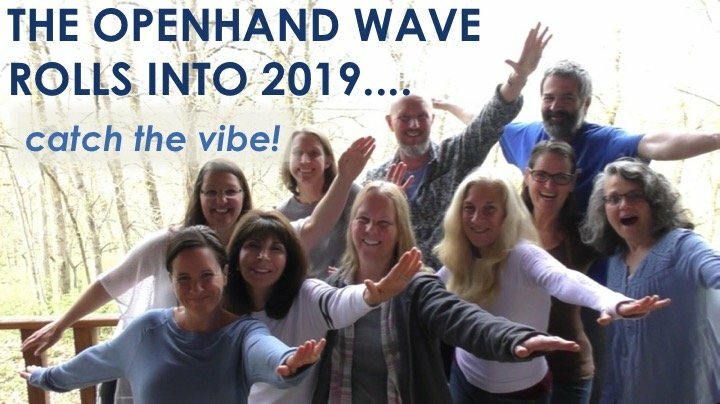 My understanding of Openhand teaching is that we need to learn to become "awesomely OK" with whatever emotional state we experience, & not need to change it or look for a particular outcome. However, I keep wondering if I'm doing something "wrong" to end up in all this emotional pain as I sleep & when I wake up, or is this a necessary part of my soul's evolutionary path? I read an article recently about how those on the spiritual path can sometimes unwittingly enter into agreements or contracts to suffer or experience hardship, with spiritual energies or entities that aren't benevolent, & who then "feed off" our emotional pain or distress, bleeding us of our energy. I sometimes sense that this is happening to me, that all my pain & suffering is somehow going "down the drain" rather than moving me forward on my path. I woke at 7.30am this morning & have been typing this in bed for the last 30 mins, with my partner asleep beside me. If I'm honest, I deeply resent having to go through all this pain, discomfort & suffering. I know that I've shared this before on the forum, but that's how I'm feeling right now. Something inside me cries out "I hate being like this, this is not what life's supposed to be all about. I can't go on like this, it's not right or fair!" I welcome any supportive comments or feedback. Hello StarHawk, it's been a while and I've just caught up on your travels and new musing. Two things that stood out for me, one about the grief of the suicide of your brother linking to physical manifestation and the other about the traumatic awakening after the bliss of no thought (sleep) - hugs - synchronistically I've just finished reading 'Too soon old, too late smart' by Gordon Livingston MD. I'm a little hesitant to encapsulate his story, his book is brilliant - subtitled, 30 things you need to know now, and I agree with all of them, particularly for those who have traumatic incidents in their experience. If you cannot find a copy of it know that this waking in dread, horror, resistance is not unusual in the circumstances - 'normal' is still relative, and in grief 'relative' is a little different. Neither is the anger unusual, it's a part of the journey of reconciliation. Dr Livingston's eldest son took his own life (his son had Bipolar disorder and Dr Livingston is a psychiatrist...) and then 13 months later his youngest son died of complications from a bone marrow transplant while being treated for Leukaemia,(Dr L was the donor). So he has walked the path of suffering. He has also (he says 'largely') forgiven himself for not being able to save his sons, and has found meaning in his life in spite of its tragedies. I found his book incredibly insightful. To ease the waking up terrors, it's kind of like the grief journey, you have to face it and go through it in order to be able to unpack it and meet it so that they can subside - Elisabeth Kubler Ross says when these things come (again) it's like them knocking at our door (albeit it can feel like they've just kicked the door down!) she says open the door and say 'oh it's you again, what have you come to teach me this time?' If we don't react to / against them we can hear what it is they are trying to tell us. Then we show them the door. She says a wonderful thing - treat them like a visitor, but don't set a place at your table for them. I don't know it that will make sense, or be helpful, but I hope so. I think to myself "oh no, still another 5 or 6 hours of this struggle to go". So there's still struggle? It would seem so. Although this feels different to what you've described before - a deeper layer. First I would say work to accept and surrender into what is going on. Then when you go to bed at night, spend sometime meditating as you lie there, relaxing throughout your body. If the mind wanders, keep bringing your attention into softening your body. then imagine you have a protective field around your bed and in your room. Another question is what's happening to your partner while this is all going on? Because their field is going to be involved in it in some way too. This will need to be considered. Perhaps periods of sleeping alone whilst you process it.